Khashoggi – a Saudi writer, United States resident and Washington Post columnist – had entered the building on October 2 to obtain documentation certifying he had divorced his ex-wife so he could remarry. Saudi Arabia has denounced as “blatant interference” a resolution by the US Senate accusing the kingdom’s crown prince of ordering Khashoggi’s murder and calling for an end to Washington’s military support for a Riyadh-led war in Yemen. “The kingdom has previously asserted that the murder of Saudi citizen Jamal Khashoggi is a deplorable crime that does not reflect the Kingdom’s policy nor its institutions and reaffirms its rejection of any attempts to take the case out of the path of justice in the kingdom,” the statement added. UN chief Antonio Guterres has called for a “credible” investigation into Khashoggi’s murder in Saudi Arabia’s consulate in Istanbul. “It is absolutely essential to have a credible investigation and to have the punishment of those that were guilty,” Guterres said at the Doha Forum conference in Qatar on Sunday. Turkey’s Foreign Minister Mevlut Cavusoglu said that many European countries are ignoring Khashoggi’s murder. Commenting on the case at the Doha Forum, Cavusoglu alleged that while Turkish President Recep Tayyip Erdogan was “determined” for the investigation to reach a conclusion, European leaders were turning a blind eye. “President Erdogan has been so determined from the beginning to go to the end of this case, and to reach the outcome of the investigation,” he said. US senators have voted vote in favour of a non-binding resolution on Thursday saying that Saudi Crown Prince Mohammed bin Salman is responsible for Khashoggi’s murder. The bipartisan vote came two months after Khashoggi was killed at the Saudi consulate in Istanbul. US President Donald Trump has equivocated over who is to blame, refusing to point the finger at Prince Mohammed, even after the CIA concluded that the Saudi royal was responsible. US Secretary of State Mike Pompeo on Wednesday said investigations into the killing of Saudi writer Jamal Khashoggi were still ongoing but that the US would hold those found responsible accountable for his death. Pompeo’s comments to Fox News in an interview come hours before CIA Director Gina Haspel was set to brief US House of Representative leaders behind closed doors on Khashoggi’s death at Saudi consulate Turkey in October. US President Donald Trump said on Tuesday that he stood by Saudi Arabia’s crown prince despite a CIA assessment that he ordered Khashoggi’s killing and pleas from US senators for Trump to condemn the kingdom’s de facto ruler. Trump refused to comment on whether Prince Mohammed was complicit in the murder, but he provided perhaps his most explicit show of support for the prince since Khashoggi’s death more than two months ago. “He’s the leader of Saudi Arabia. They’ve been a very good ally,” Trump said in an interview with Reuters news agency in the Oval Office. Saudi Arabia’s refusal to extradite suspects in the Khashoggi murder is very disappointing and the world should seek justice for his case under international law, the director of communications at the Turkish presidency told Reuters news agency. Since Turkey has seen little evidence that Saudi prosecutors will shed light on the October 2 killing at the Saudi consulate in Istanbul, “it will be in the best interest of the international community to seek justice for the late Saudi journalist under international law,” Fahrettin Altun said. “I can’t breathe,” were Khashoggi’s final words, according to a CNN report, which cited a source who has read the transcript of an audio tape of the final moments before the journalist’s murder. The source told the US network the transcript made clear the killing was premeditated and suggests several phone calls were made to give briefings on the progress. The transcript of the gruesome recording includes descriptions of Khashoggi struggling against his murderers, CNN said, and references sounds of the dissident journalist’s body “being dismembered by a saw”. The original transcript was prepared by Turkish intelligence services, CNN said its source read a translated version and was briefed on the probe into the journalist’s death. Last month, the head of investigations at the Turkish Sabah newspaper told Al Jazeera that Khashoggi’s last words were “I’m suffocating … Take this bag off my head, I’m claustrophobic”, according to an audio recording from inside the Saudi consulate in Istanbul. Hatice Cengiz, Khashoggi’s fiancee, has called for the perpetrators of the murder to be identified and put on trial. In an exclusive interview with Al Jazeera that aired on Monday, Cengiz said she will keep fighting to ensure everyone responsible for his murder is brought to justice. “I want to expose the details of this horrific crime, identify the perpetrators and put those who carried out the killing on a fair trial, including those who ordered the hit, so they get the punishment they deserve,” she said. The Washington Post has criticised the Saudi ambassador’s return to the US and described it as “stunningly arrogant”, accusing him of lying openly about the murder of Khashoggi. In an editorial, the newspaper said that in the days following Khashoggi’s disappearance inside the Saudi consulate in Istanbul, Saudi Ambassador Khalid bin Salman launched “an epic campaign of lies” – as the newspaper put it – and told anyone who would listen to him, from senators to the Washington Post publisher, that reports that Khashoggi had been detained or killed inside the consulate were “absolutely false, and baseless”. The ambassador left Washington, DC, a couple of weeks later as the truth about Khashoggi’s murder was revealed. A top aide to Saudi Arabia’s crown prince, fired for his role in the Khashoggi murder, personally oversaw the torture of at least one detained women’s rights activist earlier this year, two sources told Reuters news agency. Saud al-Qahtani was a royal adviser to Prince Mohammed until October when he was sacked and subsequently sanctioned by the US Treasury over the Washington Post columnist’s murder. Three sources, briefed on the activists’ treatment, say a group of men subjected this woman and at least three others to sexual harassment, electrocution, and flogging between May and August at an unofficial holding facility in Jeddah. They described the group of about six men as distinct from the regular interrogators the women saw and said they belonged to the Saudi Federation for Cybersecurity, Programming and Drones, which al-Qahtani headed at the time, or to state security. Al-Qahtani was present when at least one of the women was tortured, two of the sources said. A Saudi official said the allegations of mistreatment and torture of the female detainees were “false … and have no connection to the truth”. The women are among more than a dozen prominent activists arrested since May amid a broader crackdown targeting clerics and intellectuals. Activists say 11 women are still being held, including the four alleged to have been tortured. Turkey should submit a formal request to UN Secretary-General Antonio Guterres to conduct an independent international probe into the killing of Khashoggi, Human Rights Watch said. The investigation, the rights group said, would cut through attempts intended to protect Saudi officials and muddle the truth. “A UN investigation has the best chance of pushing Saudi Arabia to provide the needed facts and information about Mohammed bin Salman’s precise role in this murder – information that is available only from sources in Saudi Arabia,” Sarah Leah Whitson, the Middle East director at Human Rights Watch, said. Six top US senators from across party lines have introduced a scathing resolution to hold the Saudi crown prince accountable for the killing of Khashoggi. UN human rights chief Michelle Bachelet said on Wednesday that an international investigation was needed to determine who was responsible for the murder of Khashoggi. Senior US senators said on Tuesday, after receiving a CIA briefing on the matter, that they were more certain than ever that Saudi Arabia’s crown prince was responsible for the killing. Oscar-winning actor and filmmaker Sean Penn has reportedly begun filming a new documentary about Khashoggi’s killing. The US actor, accompanied by a crew of around 10 including bodyguards, was spotted shooting in front of the consulate building in Istanbul on Wednesday, Turkey’s state-run Anadolu news agency reported. Istanbul’s chief prosecutor’s office has filed arrest warrants for Saudi officials believed to be involved in the Khashoggi’s killing. The prosecutor’s office believes there is “strong suspicion” that Ahmed al-Asiri and Saud al-Qahtani were among the planners of the murder, which took place shortly after Khashoggi entered the Saudi consulate in Istanbul on October 2. A senior Turkish official told Reuters news agency that the move reflects the view that Saudi authorities will not take formal action against al-Asiri and al-Qahtani, both close allies of Prince Mohammed. On Tuesday, US senators, who held a meeting with CIA Director Gina Haspel, said they are even more convinced that Prince Mohammed was involved in the death of the Saudi journalist. Senators leaving a briefing with CIA Director Gina Haspel say they are even more convinced that Saudi Prince Mohammed was involved in the death of Saudi journalist Jamal Khashoggi. Senate Foreign Relations Committee Chairman Bob Corker said he believes if the crown prince were put on trial, a jury would find him guilty in “about 30 minutes”. Republican Senator Lindsey Graham said there is “zero chance” the crown prince wasn’t involved in Khashoggi’s death. CIA Director Gina Haspel will give a closed-door briefing to leaders of several US Senate committees this week on the killing of Jamal Khashoggi, US media reported on Monday, citing unnamed sources. According to the Wall Street Journal, the briefing will take place on Tuesday. Reuters news agency, citing a source familiar with the planned meeting, said Haspel will brief the Republican and Democratic leaders of the Senate Foreign Relations, Armed Services and Appropriations committees. The Reuters source added that the Senate Intelligence Committee already had been briefed by the CIA chief. A Senate source also said Senate leaders would also participate in the briefing, which is scheduled for 11:30am (16:30 GMT). The CIA would not confirm or deny whether the briefing would take place. Once installed, the Pegasus spyware is able to listen in on calls, read messages, record keystrokes and track internet history. The phone’s microphone can also be turned on remotely, allowing the spyware to listen in on conversations without the owner of the phone realising he or she is being listened to. In the lawsuit, Abdulaziz claims the Saudi government spied on conversations he had with Khashoggi. In a response to the lawsuit, NSO Group said in a statement “licensed for the sole use of providing governments and law enforcement agencies the ability to lawfully fight terrorism and crime,” the New York Times reported. In his conversation with Canada-based activist Omar Abdulaziz – accessed by CNN – Khashoggi describes Saudi Crown Prince Mohammed bin Salman, also known as MBS, as a “beast” and a “Pac-man” who would “devour all in his path, even his supporters”. “Arrests are unjustified and do not serve him [logic says], but tyranny has no logic, but he loves force, oppression and needs to show them off. He is like a beast ‘Pac-Man’ the more victims he eats, the more he wants. I will not be surprised that the oppression will reach even those who are cheering him, then others and others and so on. God knows,” Khashoggi wrote, according to CNN. The messages shared by Abdulaziz include voice recordings, photos and videos. The conversation reveals the two were planning an “online youth movement”, CNN reported. He told the US broadcaster that the phone’s hacking “played a major role in what happened to Jamal”. Prince Mohammed arrived in the Algerian capital, Algiers, after a brief visit to Mauritania earlier in the day. The Saudi crown prince was resuming a tour of Arab countries after attending the G20 summit in Argentina. Before attending the G20 summit, he had visited the United Arab Emirates, Bahrain, Egypt and Tunisia. The official Algeria Press Service said Algerian-Saudi investments and trade relations in sectors including oil and petrochemicals would be discussed during the two-day visit. Prince Mohammed arrived in Mauritania, resuming his tour of Arab countries after attending the G20 summit in Argentina. Saudi state TV showed footage of the crown prince’s plane arriving in the capital Nouakchott. The 33-year-old had already visited the United Arab Emirates, Bahrain, Egypt and Tunisia before attending the G20 summit. He is scheduled to visit Algeria later in the day. Turkey has no intention of harming the Saudi royal family, Turkish President Recep Tayyip Erdogan said on Saturday, adding that holding those responsible for the killing of Khashoggi would also be beneficial for Saudi Arabia. Speaking at a press conference at the G20 summit in Buenos Aires, Erdogan said the Saudi crown prince had sent his chief prosecutor to Turkey to investigate the Khashoggi killing, but he had not shared information with Ankara. Erdogan said the killing of journalist Jamal Khashoggi has been a test for the whole world. Turkey has evidence documenting Khashoggi was killed in 7.5 minutes, Erdogan said. He said Ankara has shared this evidence with all countries who requested it, including the United States, Britain, Germany and Saudi Arabia. US Secretary of State Mike Pompeo said on Saturday he had seen all the intelligence possessed by the United States on the killing of Saudi journalist Jamal Khashoggi and repeated that no direct evidence links Prince Mohammed to the incident. Prince Mohammed sent 11 messages to his closest adviser, who reportedly oversaw the operatives who killed Khashoggi, in the hours before and after the journalist’s murder on October 2, according to a Wall Street Journal report. The Journal said on Saturday it had reviewed excerpts of an intelligence file that was classified as “highly confidential”, which cites electronic intercepts and other covert information between Prince Mohammed and his aide, Saud al-Qahtani. “To be clear, we lack direct reports that the crown prince issued the order of murder,” the assessment notes, according to the Journal. French President Emmanuel Macron told Saudi Crown Prince Mohammed bin Salman that Europe would insist on international experts being part of the investigation into the murder of Khashoggi. In a five-minute exchange on the sidelines of the G20 summit in Argentina, Macron conveyed “very firm” messages to the prince over the killing and the need to find a political solution for the situation in Yemen, an Elysee official also said. British Prime Minister Theresa May plans to raise the killing of Jamal Khashoggi and the situation in Yemen with Saudi Arabia’s Crown Prince Mohammed bin Salman at the G20 summit in Argentina. “I am intending to speak with the crown prince of Saudi Arabia. The message that I give will be very clear … on this issue of Jamal Khashoggi but also on the issue of Yemen,” she told reporters on the flight to Buenos Aires. “We want to see a full and transparent investigation in relation to what happened and obviously those responsible being held to account,” she said of Khashoggi’s killing. 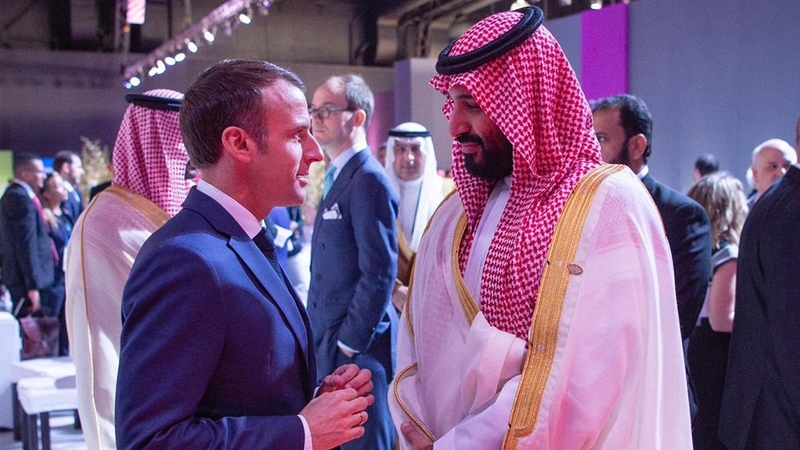 French President Emmanuel Macron has said he would raise the killing of journalist Jamal Khashoggi with Prince Mohammed on the sidelines of the G20 summit. “I will no doubt have the opportunity to mention it with the crown prince on the margins of the summit,” Macron told journalists in Buenos Aires on Thursday. Macron also said he had called a meeting to coordinate the views of European G20 leaders on policy challenges ahead of the summit, which begins Friday. In a tweet later, he said they would also discuss the fallout from Khashoggi’s murder. Canada imposed sanctions on 17 Saudis officials it said are linked to the murder of Jamal Khashoggi, the foreign ministry announced on Thursday. The sanctions, which freezes their assets and bars their travel to Canada, “target individuals who are, in the opinion of the government of Canada, responsible for or complicit in the extrajudicial killing of journalist Jamal Khashoggi on October 2, 2018,” Foreign Affairs Minister Chrystia Freeland said in a statement. An Argentine judge reviewing a complaint by Human Rights Watch (HRW) against Saudi Crown Prince Mohammed bin Salman for his involvement in the war in Yemen asked Argentina’s foreign ministry to seek information from Turkey and the International Criminal Court, the judge’s office told Reuters news agency. On Monday, HRW asked the judge to use a war crimes clause in Argentina’s constitution to investigate any involvement by the crown prince in possible crimes against humanity in Yemen and Khashoggi’s murder. The White House did not block CIA Director Gina Haspel from participating in a briefing on Wednesday for the US Senate about the war in Yemen and US relations with Saudi Arabia, a spokesman for the agency said. “The notion that anyone told Director Haspel not to attend today’s briefing is false,” agency spokesman Timothy Barrett said in a statement. Republican Senator Lindsey Graham is threatening to oppose key legislation until the Senate is briefed by the CIA on the killing of Khashoggi. Senators were briefed on Khashoggi’s death Wednesday by Secretary of State Mike Pompeo and Secretary of Defense James Mattis. But Graham said the briefing was “inadequate” without the CIA speaking directly about the intelligence it has on Saudi Arabia’s involvement in the killing. Graham said he’s willing to hold up the legislative agenda, including legislation to fund the government, until he hears from the agency. US Defense Secretary James Mattis said on Wednesday the US has “no smoking gun” that Prince Mohammed was involved in the killing of Jamal Khashoggi in Istanbul last month. “We have no smoking gun the crown prince was involved, not the intelligence community or anyone else. There is no smoking gun,” Mattis told reporters at the Pentagon, adding that the US still expected those responsible for the killing to be held accountable. Secretary of State Mike Pompeo said on Wednesday that downgrading US ties with Saudi Arabia would be a mistake for national security and would not push Saudis in a better direction at home. “The October murder of Saudi national Jamal Khashoggi in Turkey has heightened the Capitol Hill caterwauling and media pile-on. But degrading US-Saudi ties would be a grave mistake for the national security of the U.S. and its allies,” Pompeo wrote in a blog post shortly before he testified before a Senate committee. Prince Mohammad landed in Buenos Aires for the G20 leaders’ summit, according to Argentine TV news. US Secretary of State Mike Pompeo and Pentagon chief James Mattis will brief the US Senate on Wednesday on the latest developments related to Saudi Arabia. The closed-door briefing could determine how far Congress goes in punishing its long-time Middle East ally over Khashoggi’s murder. Many US lawmakers, including some of President Trump’s fellow Republicans, as well as Democrats, have expressed concern about Khashoggi’s killing at the Saudi consulate in Turkey last month and the war in Yemen, which has created one of the world’s most urgent humanitarian disasters. Senate Majority Leader Mitch McConnell says “some kind of response” is needed from the US for the Saudis’ role in the gruesome death. While Trump has equivocated over who is to blame, the Senate is considering a vote as soon as this week to halt US involvement in the Saudi-led war in Yemen. Mattis and Pompeo are expected to address the Senate at 16:00 GMT in Washington, DC. Reuters news agency is reporting that Prince Mohammad left Tunisia early on Wednesday for Argentina to attend the G20 summit, where all eyes will be on world leaders’ reaction to the man accused of ordering Khashoggi’s murder. The crown prince’s G20 attendance is a bold effort to force the issue of whether world leaders will work with Saudi Arabia, analysts say. Riyadh is also indicating with his appearance in Buenos Aires that Prince Mohammed is back in the saddle and the worst of the controversy is over. Human Rights Watch requested that Argentine authorities arrest the crown prince and that he be tried by a court for war crimes in Yemen and Khashoggi’s killing. Turkish Foreign Minister Mevlut Cavusoglu for the first time recounted gruesome details from audio tapes purportedly of the killing, confirming some of the content that has so far only been leaked by Turkish media. A Saudi forensics doctor involved in the Istanbul consulate murder is “instructing the others they should listen to music while he dismembers the body”, Cavusoglu said in an interview with German daily Sueddeutsche Zeitung published on Tuesday. Khashoggi’s remains have not been located. Saudi Arabia’s Prince Mohammed has arrived in Tunisia’s capital, as protests against his visit were held for the second day. Hundreds of people gathered on the iconic Habib Bourguiba Avenue in central Tunis to protest against the crown prince’s arrival after allegations of his involvement in the murder of Saudi journalist Jamal Khashoggi. “I was here yesterday and I came here again to say ‘No’ to the murderer and criminal, Mohammed bin Salman,” Said Arous, a prominent human rights activist told Al Jazeera, calling Khashoggi’s killing “an appalling crime”. Bolton: What do you think I’ll learn by listening to Khashoggi tape? US National Security Advisor John Bolton said he has not listened the audio linked to Jamal Khashoggi’s murder. “I haven’t listened to it,” Bolton said. “Why do you think I should? What do you think I’ll learn from it?” he added. Pressed further by Al Jazeera’s Kimberly Halkett, Bolton said because he doesn’t speak Arabic, he cannot get much from the tape. US National Security Advisor John Bolton said President Trump had no plans to meet Saudi Crown Prince Mohammed bin Salman at this week’s G20 summit in Buenos Aires, Argentina. Turkey’s Foreign Minister Mevlut Cavusoglu said in an interview that Saudi Crown Prince Mohammed bin Salman had asked for a meeting with Turkish President Tayyip Erdogan and that there was currently no reason not to meet him. Saudi-Turkish relations have been strained by the killing of Khashoggi in Istanbul. New York-based Human Rights Watch said it submitted the request to Argentina’s federal judge Ariel Lijo on Monday. Prince Mohammed is expected to arrive in Buenos Aires on Friday for the G20 summit. “There’s an extremely strong basis for Argentina to closely examine a very broad record of documentation and facts. People around the world are desperate to see real accountability for people who are getting away with terrible crimes,” HRW’s Middle East and North Africa director Sarah Leah Whitson told Al Jazeera. Secretary of State Mike Pompeo and Secretary of Defense James Mattis will brief the US Senate on Wednesday on the latest developments related to Saudi Arabia, Senator John Cornyn, the number two Senate Republican, told reporters on Monday. Senator Bob Corker, the Republican chairman of the Senate Foreign Relations Committee, said earlier this month he wanted Pompeo, Mattis and CIA Director Gina Haspel to come to the Capitol for a classified Senate briefing. A Senate aide said Haspel is not scheduled to be involved in Wednesday’s briefing, which will take place at 11am (16:00 GMT). A House of Representatives aide said no similar briefing had been scheduled in that chamber. Police searched two villas in the province of Yalova, just south of Istanbul, in connection with the search for Jamal Khashoggi’s body. The Istanbul prosecutor’s office said one of the villas belongs to a Saudi businessman named Mohammed Ahmed Alfaouzan, who is allegedly close to the Saudi crown prince, Turkish media reported. Turkish media outlets also said Alfaouzan received the phone call from Mansour Othman Abahussain, an officer in the Saudi military and one of the 15 men accused of carrying out the Washington Post journalist’s killing. “According to the Turkish prosecutor, a phone call was made a day before Mr Khashoggi was killed to the villa, and in that conversation, details were discussed as to how to dispose of Mr Khashoggi’s body,” Al Jazeera’s Tony Birtley said. Adam Schiff, a Democratic senator who is set to lead the House Intelligence Committee when the US Congress returns in January, accused President Donald Trump of not telling the truth in his response to Khashoggi’s murder. Trump said earlier this week that a CIA report lacks evidence to blame Saudi Arabia’s Crown Prince Mohammed bin Salman for the killing of the Washington Post columnist. “I think the president is being dishonest with the American people,” Schiff said during an interview with CNN. “It would be one thing if he said ‘this is what has happened but nonetheless we need to maintain a relationship with the kingdom, but that is not what he is doing,” Schiff said. Lee said on NBC’s Meet the Press that he disagreed with Trump’s allegations that information from US intelligence services does not implicate Prince Mohammed in the killing. “I disagree with the president’s assessment. It’s inconsistent with the intelligence I’ve seen,” Lee said during the interview. “I don’t know why he’s siding with the Saudis, but I think there are things we can do to change our relationship with the Saudis notwithstanding whatever his personal motivations might be,” Lee added. Lee added that he was certain that the next US Congress, which will be inaugurated in January, will look into Trump’s alleged ties to Saudi Arabia. The prince, a former Saudi intelligence chief who has also served as ambassador to the United States, said the agency’s conclusion that Iraq possessed chemical weapons before the US invasion in 2003 showed it could be unreliable. “I don’t see why the CIA is not on trial in the United States. This is my answer to their assessment of who is guilty and who is not and who did what in the consulate in Istanbul,” he said. The two daughters of murdered journalist Jamal Khashoggi have vowed to keep the legacy of their father alive, in an opinion piece published in The Washington Post. For Noha Khashoggi and Razan Jamal Khashoggi, growing up included visits to countless museums and historical sites, reflecting their parents’ love of knowledge. Turkish investigators analysing phone calls and the movement of the suspects in Khashoggi’s murder have told Al Jazeera that the operation to kill the journalist was planned 12 days in advance. “Today we learned from the officials that when Mutreb and al-Qahtani were talking on the phone, there was a third voice coming from the background of al-Qahtani’s phone … Al-Qahtani was transferring the information that he got from Mutreb to that third person,” Al Jazeera’s Sinem Koseoglu, reporting from Ankara, said. “According to Turkish officials, they strongly believe that this third voice could belong to the Crown Prince Mohammed bin Salman but the technical analysis hasn’t concluded that yet because Mutreb was doing all these calls from his Saudi mobile phone and technically Turkey needs support to analyse it properly, ” she said. It has also come to light that along with the Saudi consul-general, three other Saudi nationals employed in the consulate are considered prime suspects in the investigation into Khashoggi’s killing. Turkish officials say those employees fled Turkey within three days of the consul-general also leaving the country shortly after Khashoggi’s murder. One of the employees, who is thought to be linked to the Saudi intelligence agency, travelled to Riyadh 72 hours before Khashoggi’s arrival and returned to the consulate in Istanbul just before Khashoggi. US President Donald Trump’s latest comments about the killing of Khashoggi show that he will “turn a blind eye” to the issue regardless of what investigators uncover, Turkey’s Foreign Minister Mevlut Cavusoglu has said. Trump has vowed to retain Saudi Arabia as a “steadfast partner” despite saying that the kingdom’s crown prince may have known about the plan to murder the journalist. Criticising Trump for prioritising commercial relations over justice, Cavusoglu said that human life should take precedence. In October, Germany called for EU countries to follow its lead and suspend arms sales to Saudi Arabia, prompting a dismissive response from France. President Trump said that the CIA did not conclude that Prince Mohammed, also known as MBS, ordered the murder of Khashoggi. US intelligence officials have reportedly said that the operation would have needed the approval at the highest levels, but the Saudis have strongly denied allegations that MBS was involved. When asked about the CIA’s findings, Trump said that the intelligence agency “didn’t conclude”. Citing vehement denials by MBS and King Salman, Trump said that “maybe the world should be held accountable because the world is a vicious place”. “I hate the crime, I hate the cover-up. I will tell you this: The crown prince hates it more than I do, and they have vehemently denied it,” he said. A transparent and credible investigation into the killing of Khashoggi has not yet been completed, Federica Mogherini, the European Union’s foreign affairs chief, said on Thursday, after talks with Turkey’s Foreign Minister Mevlut Cavusoglu. Speaking at a joint news conference with EU Commissioner Johannes Hahn and Cavusoglu in Ankara, Mogherini also said she was completely against any application of the death penalty. On his part, Cavusoglu said the Khashoggi investigation was taking a long time and the international community expected an independent probe into the case. Denmark has decided to suspend approvals of weapon and military equipment exports to Saudi Arabia over the killing of journalist Jamal Khashoggi and the situation in Yemen, its foreign minister said on Thursday. Journalist Jamal Khashoggi’s murder was an “unfortunate accident” and any discussion that Prince Mohammed was responsible and may not take the throne is “outrageous”, Saudi Arabia’s Foreign Minister Adel al-Jubeir said. In a series of interviews on Wednesday, al-Jubeir reiterated that calls for MBS to be held accountable for Khashoggi’s shocking killing are a “red line”. “We will not tolerate any discussion of anything that is disparaging towards our monarch or our crown prince,” al-Jubeir told the BBC. On other television networks, Jubeir steadfastly defended MBS despite a CIA assessment reportedly saying there was “high probability” that he ordered the murder. “We have made it very clear that Saudi Arabia’s government is not involved in this and the crown prince is not involved in this at all,” he told US network CNBC. The foreign minister was also asked about a Reuters news agency report this week that quoted Saudi sources saying a move was in play to prevent MBS from ascending the throne once his father, King Salman, 82, dies. US senators accused Trump of putting “Saudi Arabia first” in his decision to not take punitive measures against the kingdom or Prince Mohammed over the murder of Jamal Khashoggi. The Washington Post denounced President Trump’s decision to refrain from punishing Saudi Arabia for Khashoggi’s death. The Saudi writer, who was based in the US, wrote columns critical of the Saudi royal family for the newspaper. In a statement published on Twitter, Washington Post publisher, Fred Ryan, accused Trump of putting personal relationships and commercial interests above American values of respect for human rights to continue to “do business as usual” with the Saudi crown prince. Ryan further stated the CIA had “concluded with high confidence” that Prince Mohammed directed the October 2 killing. Ryan added if there is any reason to doubt these findings, Trump should immediately make that evidence public. Trump said the CIA never made a “definitive” conclusion about who was responsible. High-ranking US senators called on Trump to investigate the part MBS played in Khashoggi’s death after the CIA reportedly determined the killing was ordered by MBS. “In light of recent developments, including the Saudi government’s acknowledgement that Saudi officials killed Mr Khashoggi in its Istanbul consulate, we request that your determination specifically address whether [MBS] is responsible for Mr Khashoggi’s murder,” Republican Bob Corker and Democrat Bob Menendez wrote in their letter to Trump, sent on Tuesday. Corker is the chairman and Menendez the ranking member of the Senate Foreign Relations Committee. Under the Magnitsky Act, a law which empowers the US government to investigate human rights abuses, the president is required “to determine whether a foreign person” has committed a “gross violation” of human rights against any individual, including extrajudicial murder. The act also allows the US government to sanction individuals should it be determined they committed human rights violations. Trump has said there will be no further punitive action against Saudi Arabia, citing arms deals and the kingdom’s role as “a great ally in our very important fight against Iran”. Turkey’s Foreign Minister Mevlut Cavusoglu said Ankara may seek a formal United Nations inquiry over Khashoggi’s killing if its liaising with Riyadh comes to an impasse. 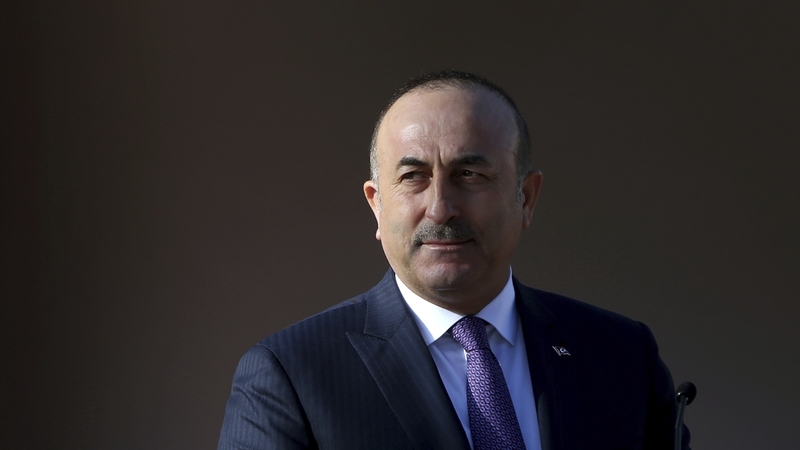 Speaking to reporters in Washington on Tuesday, Cavusoglu said Turkey is not entirely satisfied with the level of cooperation it is receiving from Saudi Arabia over the case. “Whoever gave the instruction should be held accountable… Whoever committed this crime should be brought to justice,” he said. Repeating Ankara’s position that the truth had to come out on who ordered the journalist’s killing, Cavusoglu said his country had shared the latest information with the US. President Trump has said he is prepared to meet Prince Mohammed at the G20 summit in Argentina at the end of the month. Press reports have linked MBS to the killing of Khashoggi, with US media reporting that the CIA has concluded that he ordered the assassination of the Washington Post columnist. The Saudi government has repeatedly denied the claim. Speaking to reporters on Tuesday shortly after releasing a statement in which he promised that the US would remain a “steadfast partner” of Saudi Arabia, Trump said the CIA report into Khashoggi’s killing by Saudi agents found “nothing definitive”. His comments came as leading Democrats in Congress criticised Trump for failing to take action against Prince Mohammed and called for cuts to Washington’s support to Riyadh. Iranian Foreign Minister Mohammad Javad Zarif said that US President Donald Trump’s statement that Washington will stand by Riyadh despite Khashoggi’s murder is “shameful”. US Secretary of State Mike Pompeo defended Washington’s support of Saudi Arabia in comments made shortly after President Trump defied international pressure over Khashoggi’s killing and promised to remain a “steadfast partner” of the kingdom. Speaking to reporters following a meeting with Turkish Foreign Minister Mevlut Cavusoglu in Washington on Tuesday, Pompeo said the US was obligated to “adopt policies that further America’s national security”. He added: “The United States will continue to have a relationship with the kingdom of Saudi Arabia, they are an important partner of ours, we will do that with the kingdom of Saudi Arabia, its people – that is the commitment that the president made today, it is that straightforward. Click here to read Donald Trump’s statement on the Saudi journalist’s killing last month. Despite US intelligence reportedly linking MBS to the murder of Khashoggi, President Trump said on Tuesday the US would continue to have a “steadfast” relationship with the kingdom. Trump said it “could very well be” that Prince Mohammed “had knowledge of this tragic event” and that the US intelligence agencies continue to assess all information surrounding the killing of the Saudi writer and critic. A US State Department official who has seen a version of the CIA’s assessment on the murder of Khashoggi said it is “blindingly obvious” that Prince Mohammed ordered the killing. “The idea that it goes all the way to the top is blindingly obvious. There’s overwhelming consensus that the leadership is involved – no one is debating it within the government,” the official told ABC News on condition of anonymity on Tuesday. However, the official acknowledged that the words “probably” and “likely” are used when attributing the death to MBS, ABC News reported, adding that the source noted that CIA analysis reports rarely include explicit conclusions. Saudi Arabia’s king and crown prince are shielding themselves from the Khashoggi murder scandal using a plan drawn up by US Secretary of State Mike Pompeo, a senior Saudi source told Middle East Eye. Pompeo delivered the plan in person during a meeting with Saudi King Salman and his son, Crown Prince Mohammed bin Salman, last month in Riyadh, said the source, who is familiar with the official’s talks with the Saudi leaders. The plan includes an option to pin the Saudi journalist’s murder on an innocent member of the ruling Al Saud family in order to insulate those at the very top, the source told MEE. That person has not yet been chosen, the source said, and Saudi leaders are reserving the use of that plan in case the pressure on MBS becomes too much. The US State Department denied the Saudi source’s allegations and called them “a complete misrepresentation of the secretary’s diplomatic mission to Saudi Arabia”. President Trump is facing increasing pressure to take tougher measures against Saudi Arabia before the expected release of an official report into the killing of Khashoggi. Trump told reporters on Saturday that a detailed report including information about who was responsible for the murder inside the Saudi consulate in Istanbul would be released “probably on Monday or Tuesday”. According to US media, the CIA has concluded that Prince Mohammed, the kingdom’s de facto leader, ordered Khashoggi’s killing. Trump has called the reports “premature” saying he’s not convinced that MBS was directly responsible for the October 2 slaying of the writer. Saudi Arabia’s Foreign Minister Adel al-Jubeir rejected media reports that the CIA believes MBS ordered the killing of Khashoggi and said Turkish statements on the matter were not referring to him. “We in the kingdom know that such allegations about the crown prince have no basis in truth and we categorically reject them, whether through leaks or not,” Jubeir said in an interview with Asharq al-Awsat newspaper in remarks published on Tuesday. “They are leaks that have not been officially announced, and I have noticed that they are based on an assessment, not conclusive evidence,” he added. Members of Saudi Arabia’s ruling family are agitating to prevent Prince Mohammed from becoming king after the international uproar over the killing of Khashoggi, sources close to the royal court told Reuters news agency. Senior US officials, meanwhile, indicated to Saudi advisers in recent weeks they would support Prince Ahmed bin Abdulaziz – who was deputy interior minister for nearly 40 years – as a potential successor to King Salman, according to Saudi sources with direct knowledge of the consultations. The dozens of powerful princes and cousins from the Al Saud family who want a change in the line of succession will not act while King Salman – the crown prince’s 82-year-old father – is alive, sources said. They recognise the king is unlikely to turn against his favourite son, the report added. Rather, they are discussing the possibility with other family members that after the king’s death, Prince Ahmed, 76, uncle of the crown prince, could take the throne, according to the sources.